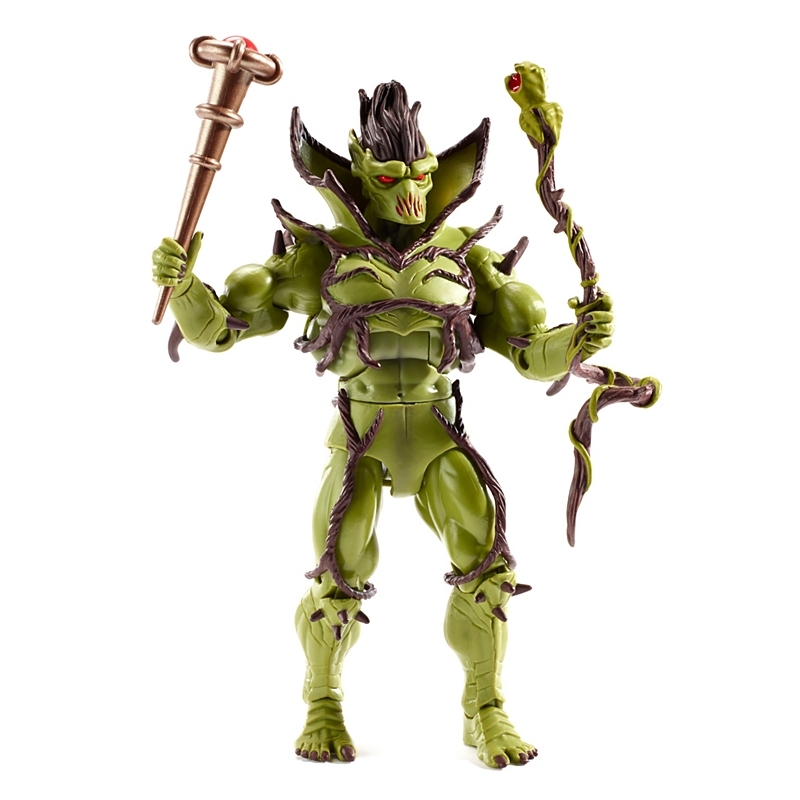 Created by Moss Man to aid Grayskull in the Great Wars against King Hssss and the invading Horde armies, Evil Seed betrayed his master and turned to evil, finding joy in corrupting all forms of plant life for his own amusement. Catching up with his vile creation, Moss Man imprisoned him in enchanted chains, keeping him restrained for many millennia. Sero was eventually freed by Orko, whose curiosity lead him to regrettably release the evil master of plants. 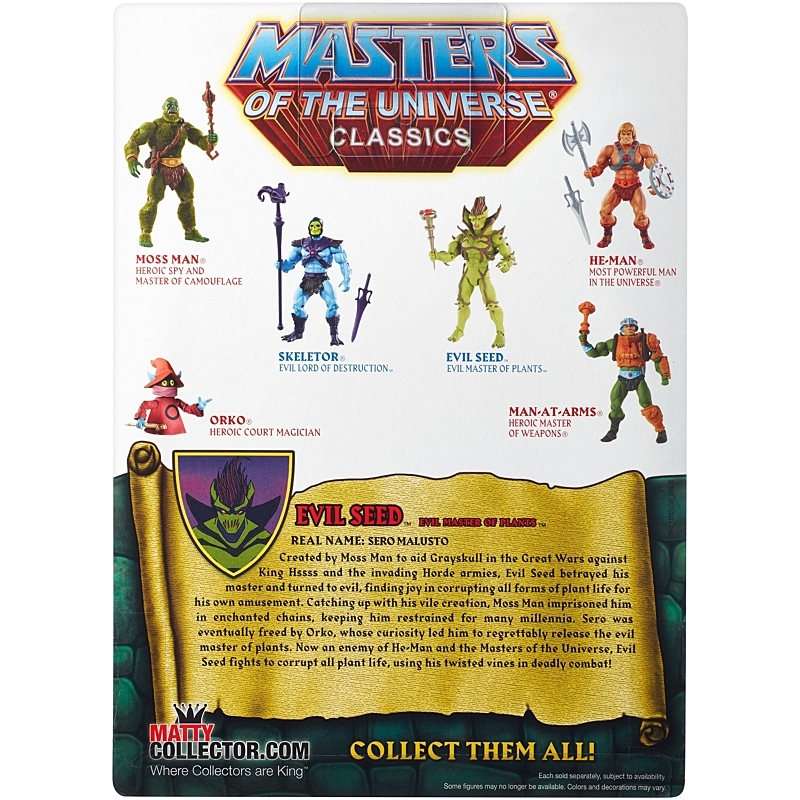 Now an enemy of He-Man and the Masters of the Universe, Evil Seed fights to corrupt all plant life, using his twisted vines in deadly combat!